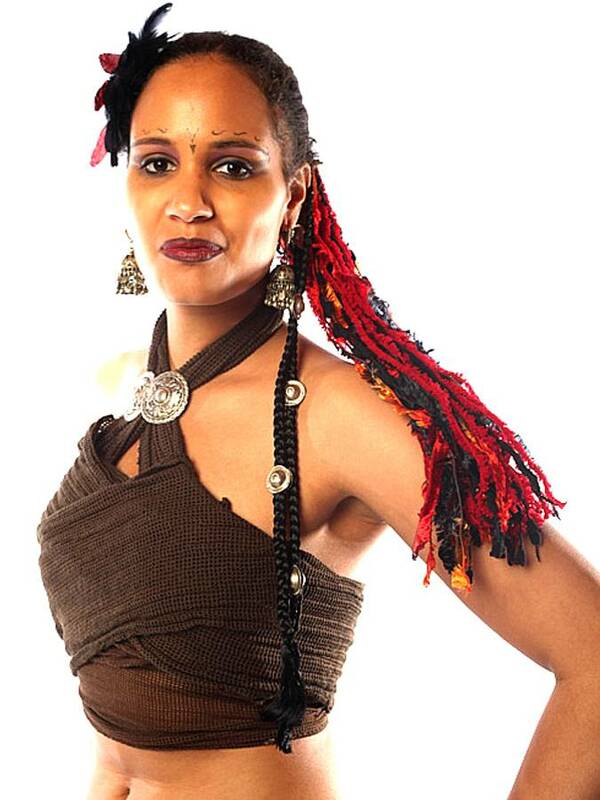 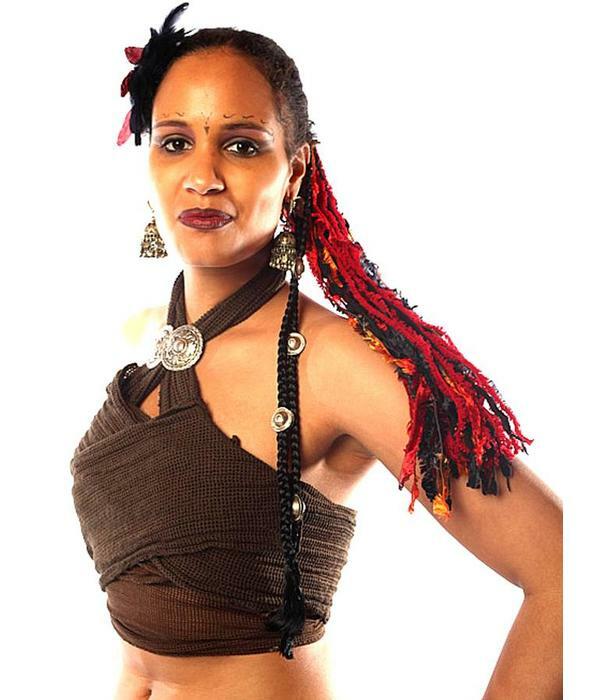 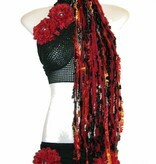 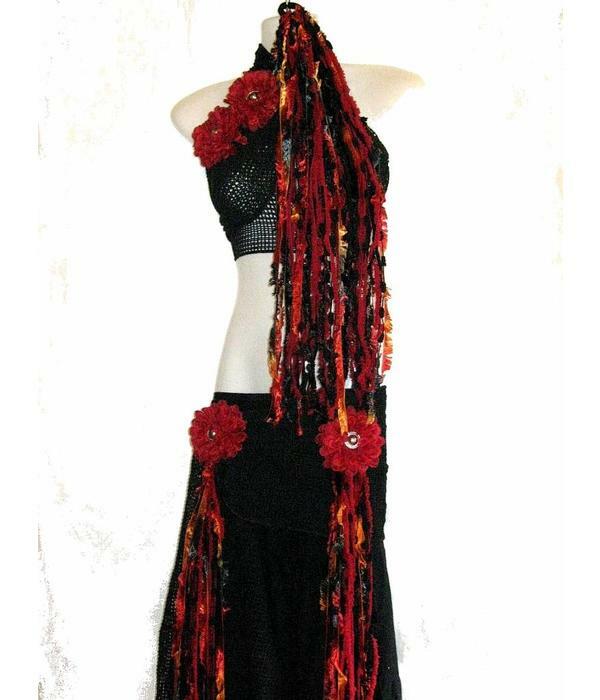 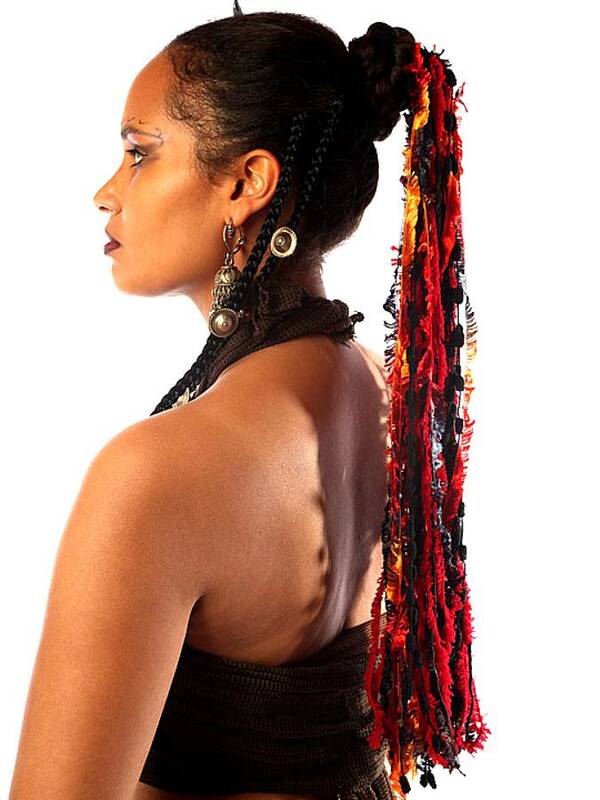 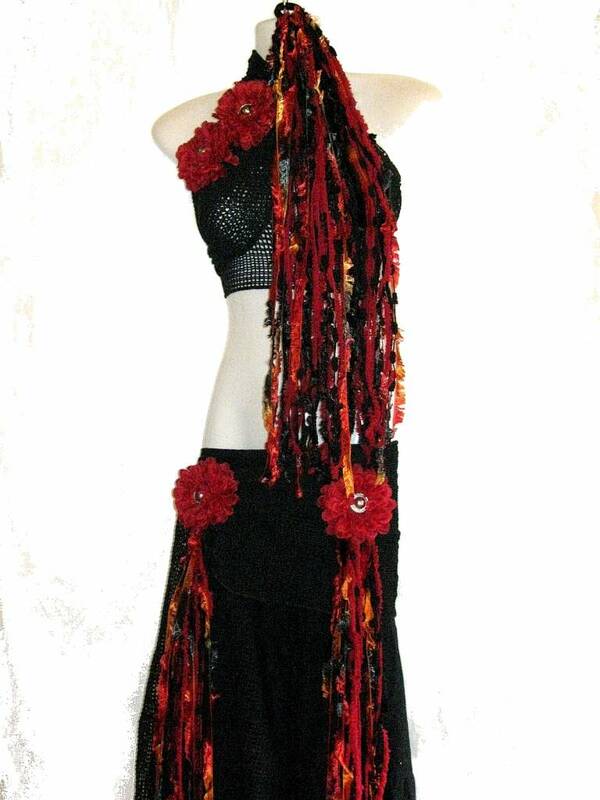 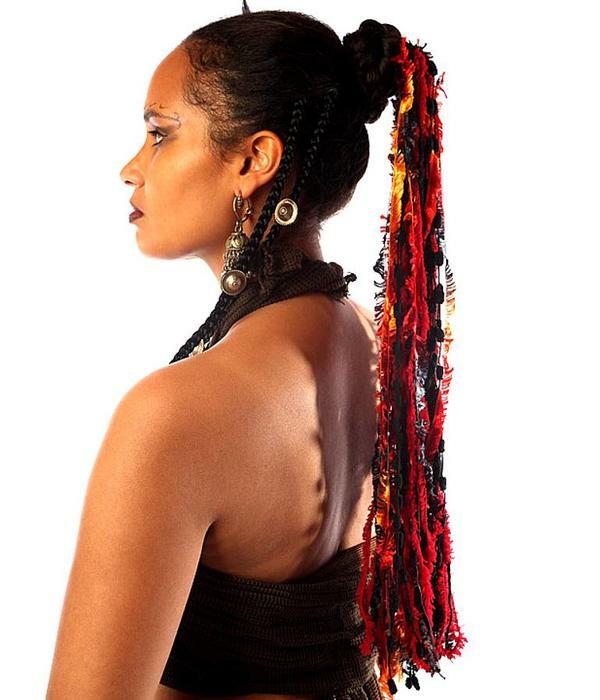 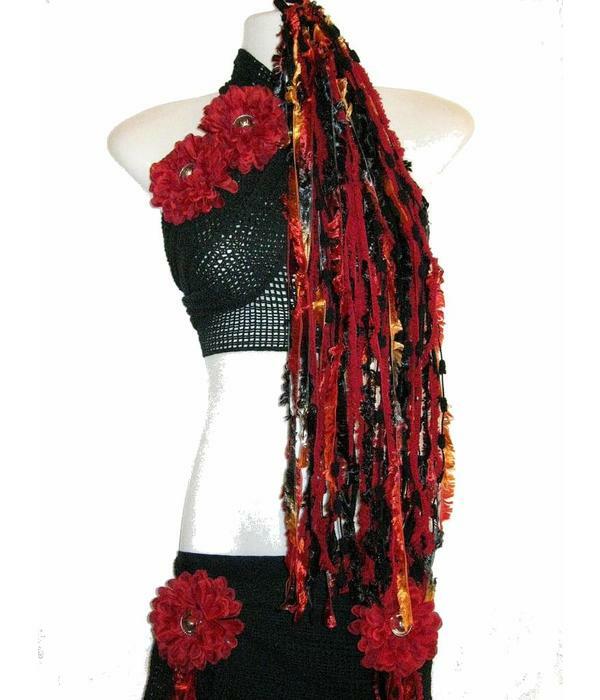 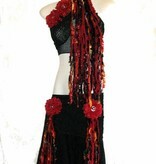 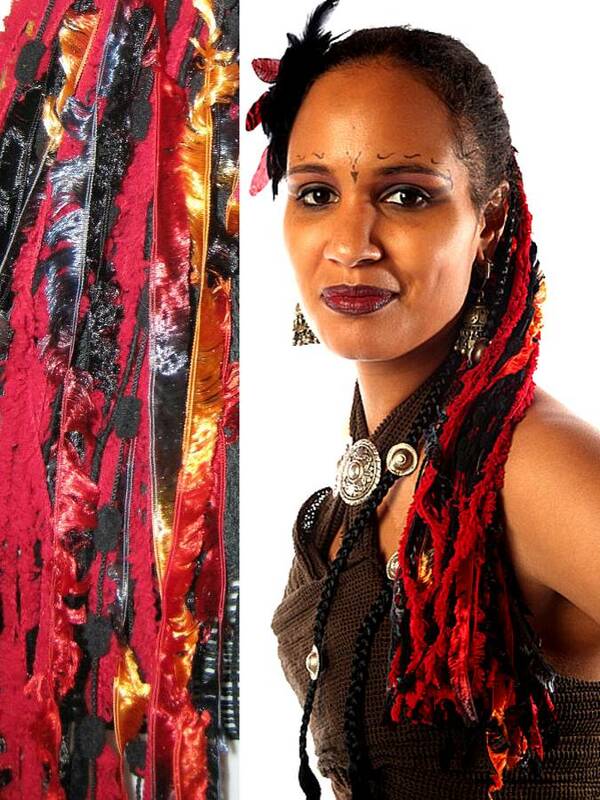 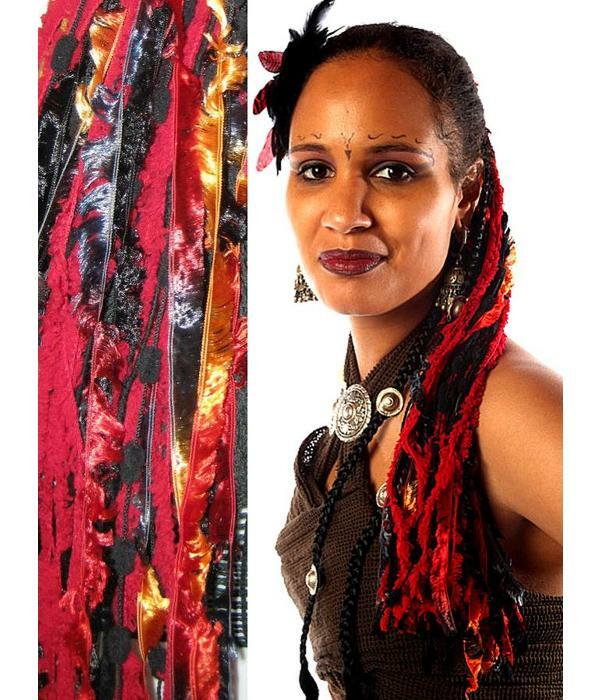 Yarn hair fall model: Fire - a mixture of red, orange and black, wonderful for gothic style belly dance costumes and as tribal fusion hair. 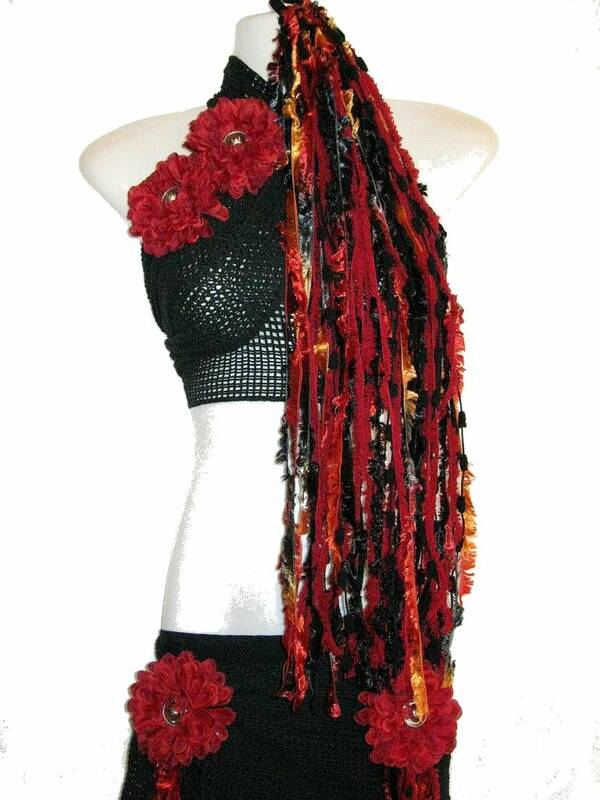 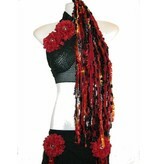 Complete your costume with matching hip tassels and hair flowers from different listings, see related items below this description! 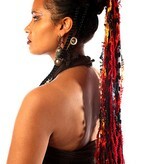 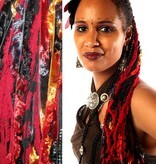 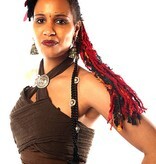 Contact us for any questions about our yarn hair falls!